A city woman has filed a lawsuit in federal court alleging police officers ‘unlawfully arrested’ her and used excessive force. Priscilla Songg had an early morning encounter with police on Nov. 12, 2016. Police responded to a call at 559 East 22nd Street. Police officer Robert Shirey met Songg at the location. Her lawsuit says others at the location told the officers “nothing illegal” was taking place. She lost consciousness, but recalls experiencing pain in her face and both arms. She was badly cut and had a black eye in her mugshot, according to the lawsuit. She regained consciousness and awoke in police custody and told a nearby officer she was in significant pain and couldn’t move her right arm. Songg “was provide[d] no medical treatment at this time and used toilet paper to try to control the bleeding from her arm,” says the lawsuit. Police eventually transported her to St. Joseph’s Regional Medical Center at about 8 p.m., according to the lawsuit. She was examined and provided treatment. But Songg declined extensive medical treatment because she expected to be released soon and would see a doctor of her choice. Her lawsuit says she was charged with “serious offenses and detained in jail.” The lawsuit does not state what were the charges filed against her; however, it states all the charges were later dismissed. Police officers falsely charged her with crimes, alleges her lawsuit. Songg was transferred to the Passaic County Jail. She received some treatment at the jail. Pain increased and her arm grew swollen and weak over time, says the lawsuit. She was later sent to the East Orange Hospital for treatment six days after the arrest. She received intravenous antibiotics, wound care, and pain medication that improved her condition. She received a five-day course of antibiotics and stayed in the hospital until Nov. 22, according to the lawsuit. Songg was returned to the Passaic County Jail and moved to the Hudson County Jail on Jan. 23, 2017. Songg’s lawsuit states she has been unable to regain the full use of her arm and continues to suffer pain in the arm and back. It has impaired her ability to work and enjoy normal daily activities, says the lawsuit. Songg is seeking an unspecified amount in damages and legal expenses. Besides Shirey, the lawsuit, filed on Nov. 13, 2018, names police officers “Culman” and J. Johnson. Shirey is no longer employed by the city, according to payroll records, and Johnson works as a police aide. 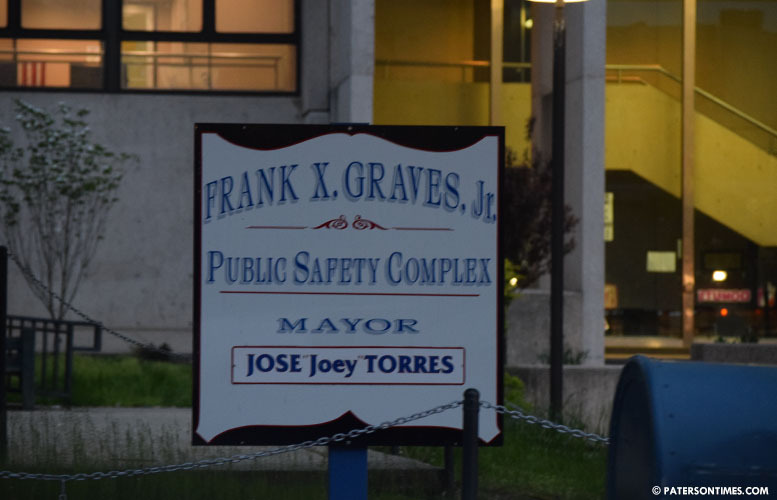 The lawsuit also names the Passaic County government. Paterson PD are known for this type of thing. And for selling drugs. And for stealing money off of people they pull over. Another lawsuit that the city will settle because they challenge nothing. They believe that tax payer should continue to pay for these lawsuits. All of these council members that continue to vote to settle should leave the job effective immediately. Start asking these lawyers questions. Don’t jump on the band wagon. Go back to all the article and re read the article of all these officer that was arrested, they all have something in common. I truly don’t believe they should have being allow a plea deal as I think they are criminals.